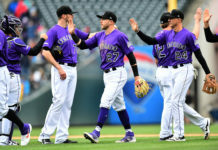 Throughout the Colorado baseball’s 24 years of existence, a good pitching staff has seemed to evade the Rockies and has often plagued them–until this year, that is. With youth and undeniable talent on their side now, the Rockies are boasting one of the best starting rotations they’ve ever had. 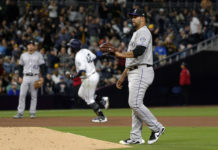 Over the years, the Rocks couldn’t seem to secure much of any already-established talent on the mound for a number of reasons–perhaps it was the unpredictability of pitching at altitude or the advantages that Coors Field plays into power hitters. Make of it what you will. Looking at it from that perspective, it seems that the best way they can remodel the face of this program is to nab them young and build up. This season, the young talent of the Rockies pitching staff rests on the backs of Antonio Senzatela and German Marquez, two 22-year-olds from Venezuela, and 23-year-old Kyle Freeland. For Freeland, the prospect of performing well a mile above sea level never fazed him, because the Denver native had plenty of practice growing up and throughout his high school days. After the Rockies drafted him eighth overall in 2014, Freeland spent a few seasons in the farm system fine-tuning his skills and preparing for the glory of the big stage. Although it’s can be hard to know what to expect once a player makes it to the Majors, Freeland said he never worried. Across the first six games of his Major League career, Freeland boasts a 2.65 ERA with a 3-1 record and 20 strikeouts under his belt. And although he’s seen a strong start throughout the first month, he has a few areas he needs to improve upon, just as any rookie would. Before making it to the pros, Freeland got the chance to establish camaraderie with fellow pitcher Senzatela, who he spent a considerable amount of time with in the minors. Senzatela, for his part, has seen even more success than his teammate. With a 4-1 record, a 2.84 ERA and 20 strikeouts across 38 innings, he’s proven to be a treacherous force of nature on the mound. “I’m pretty happy for that,” Senzatela said. Nearly everything has seemed to go right for Senzatela this season, somewhat to his own surprise; but that, he says, falls back on some of his biggest strengths. As a native of Valencia, Venezuela, Senzatela has seen his fair share of talent at every level–at home and in the U.S.A. He, too, praised the efficacy of the Rockies’ minor league system, and said he believed the wide range of ages and experience on their current roster gives them a bit of an edge. 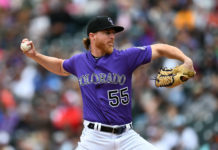 In his first three games of the season, Marquez has struggled some, but he’s had to step into some pretty big shoes as the replacement for an injured Jon Gray. He currently holds an 0-2 record and a 7.31 ERA, but he’s still finding his groove so early in the season with 13 strikeouts to his name in just 13 innings. 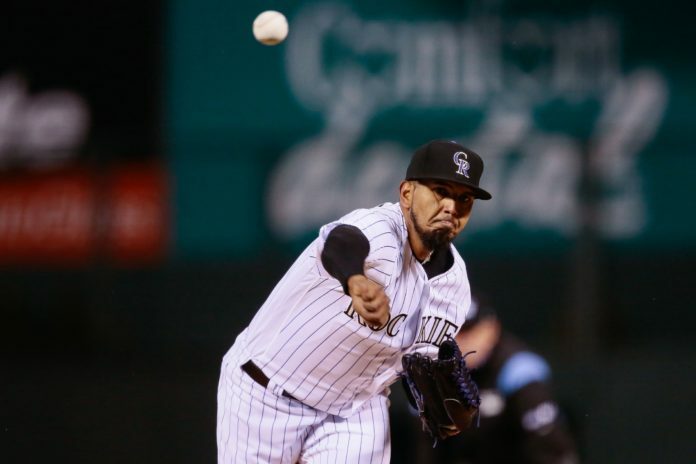 Marquez said that while he looks forward to nurturing his career as a part of the Rockies organization, he’ll be relying on the expertise of his veteran teammates and the versatility of the rotation. He said there’s one experience mound menace in particular that he often looks to for advice. “There are a lot of guys on this team that are great attackers and great pitchers, but Chatwood is definitely someone that I look up to and that is a veteran that helps me,” Marquez said. Black said that the key to every good, young pitcher rests on his in-game mentality. From what he’s seen of his rookies plus Marquez so far this season, he’s confident these guys have what it takes to build their way from the ground up for this Rockies defense.